One of England’s best kept secrets, Hampton Court Castle is genuinely one of the most romantic houses in England and the forerunner to the internationally renowned Hampton Court Palace in Surrey by some 80 years. Founded by King Henry V1 in the early 15th century Hampton Court Castle offers a spectacular visit for groups and coach tours. 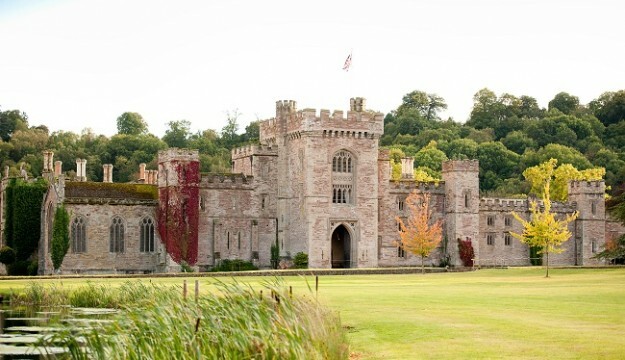 Situated in the very heart of the English countryside, in Herefordshire, the 15th Century Grade One Listed Castle is set in over 1000 acres of estate, including the spectacular newly designed formal gardens, which have received world-wide acclaim, and the fully restored Castle. 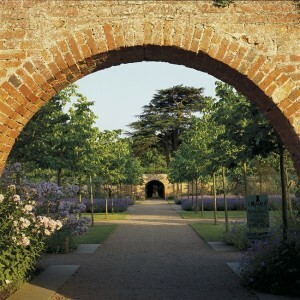 The gardens are one of the most ambitious horticultural creations of our times. Rescued from neglect in 1994, they have been revived and transformed. The original Victorian Walled Garden now contains breathtaking displays of flower beds, ornamental walkways, waterways, fountains, island pavilions, and cascades. In early Spring, over 10,000 tulips and other bulbs come to life. The legendary wisteria tunnel is said to be almost 200 years old and leads to the Castle lawns and beyond to the secret garden and waterfall. Over a thousand yew trees have been planted to create a maze with a gothic tower at its centre offering panoramic views of the gardens. The ornamental kitchen garden includes fruits & vegetables all organically managed.Lunch or afternoon tea can be enjoyed in the Joseph Paxton designed Orangery Café where produce from the kitchen garden, and otherwise from local producers and suppliers, is used wherever possible. Private dining is available for groups. The tastefully-appointed State Rooms, including the magnificent Ballroom and exquisitely hand-painted Chapel, are now open to the public for tours. The Castle also boasts 24 sumptuous bedrooms, with feature bathrooms, four of which can be viewed on our Castle tours. The garden shop in the garden bothy sells plants from the garden, home made produce from the Castle kitchens and local crafts and gifts. The River Lugg runs through the Estate and together with the surrounding forests makes for some fascinating walks through the grounds. The stunningly scenic setting, in over a thousand acres of private Estate, including lakes, rivers, woodland and gardens, is only 15 minutes drive from the city of Hereford. This makes Hampton Court Castle one of the most seductive destinations in the world. Coach parties are more than welcome. Make it Special… Make it Hampton Court Castle!